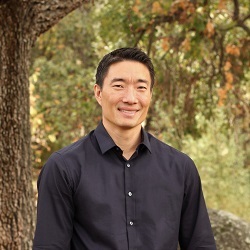 Dr. Ryan S. Nakamura is a native of Sacramento and current Natomas resident. After attaining his undergraduate degree in Biology at the University of California, Davis in 1996, Dr. Nakamura went on to complete his Doctor of Optometry degree at University of California, Berkeley. He has trained at the prestigious Barnett & Delaney Surgery Center in Phoenix, Arizona as well as Veteran’s Hospitals in San Francisco and Portland, Oregon. Dr. Nakamura has served as a clinical instructor for the UC Berkeley School of Optometry, and served on the panel to interview incoming optometry students. He is a member of the Sacramento Valley Optometric Society, California Optometric Association, and American Optometric Association. Dr. Nakamura enjoys all areas of family eyecare, including challenging contact lens fittings, Computer Vision Syndrome, and LASIK and Cataract co-management. In June 2005, Dr. Nakamura received Laser Vision Correction. He states, “To better serve my patients, I’ve always made it a priority to experience for myself the newest Eyeglass Lenses or Contact Lenses on the market. LASIK is one of many corrective options available, and I’m happy to now be able to share this experience with my patients. It has allowed me to achieve a new level of LASIK co-management.” In his spare time, Dr. Nakamura enjoys traveling, playing golf and basketball, being a foodie, and most of all spending time with his wife and baby daughter. He looks forward to helping you see your best!